"Blesens Comites". 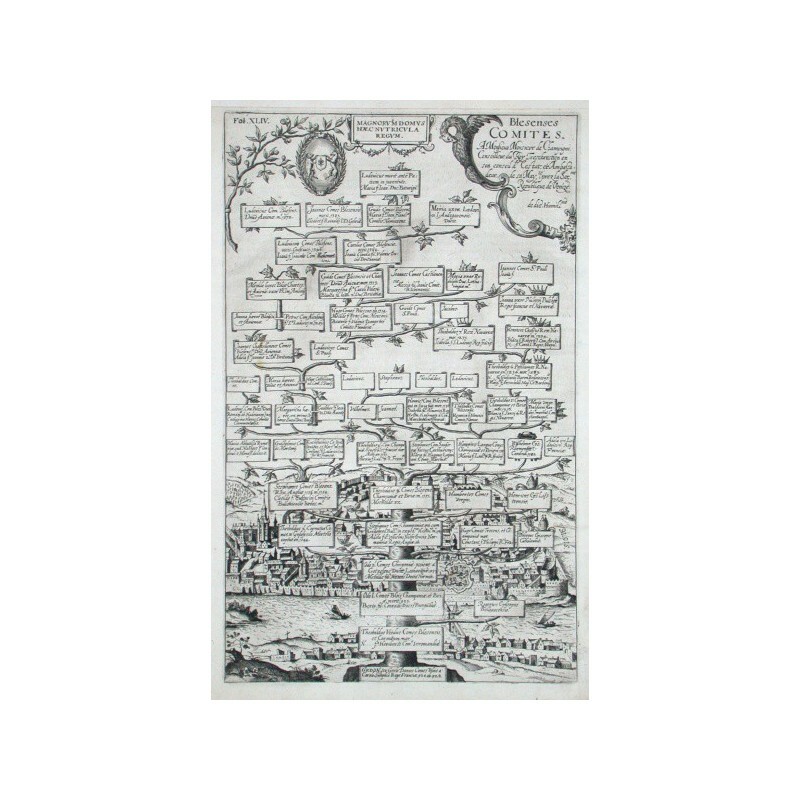 Copper-engraving by D. Custos for Antonio Albizzi's (1547-1626) "Principum Christianorum stemmata", published in Augsburg, 1612. 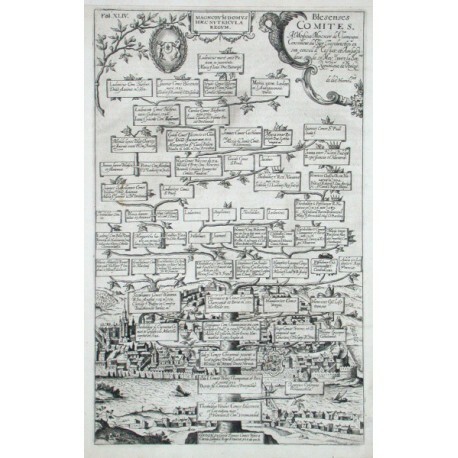 Shows the family tree of the sovereigns from Blois with a view of the city of Blois in the background. 40:25 cm.